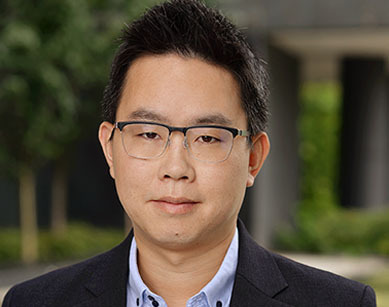 Tyler Wong is a Chartered Accountant (CA) with several years’ experience serving public companies ranging in size from $5 million to $15 billion in market capitalization. He is qualified in dealing with complex accounting issues under International Financial Reporting Standards. During his career, Tyler earned vast industry accounting experience including mining, oil and gas, lumber, technology, gaming and manufacturing. Prior to joining King & Bay, Tyler worked as a Senior Accountant coordinating component auditors and specialists for private and public clients at Deloitte’s Audit Practice in Vancouver. At Deloitte, Tyler earned accreditation for US GAAP and US GAAS. In his spare time, Tyler excels in tennis at his local tennis club. Tyler obtained a Bachelor of Commerce degree from the University of British Columbia’s Sauder School of Business. A: I began working for King & Bay in June 2017 as the Corporate Controller, with my time being split providing financial services to two of the Company’s clients. A: I enjoy getting to work on a variety of exciting and challenging projects for my clients in the technology and mining industries. Further, I am privileged with working with a team of seasoned financial and legal professionals at King & Bay. A: I have a passion for financial markets and spend countless hours combing through economic and financial data, investing, and being the “go to guy” for financial advice for close friends and family.